Music takes center stage this week- the Grammys are here! Lots of categories and nominations circling around our favorite artists but how do you keep up? The GOgroove BlueVIBE DLX Hi-Def Bluetooth Headphones. The sleek design provides long lasting battery life and premium audio while offering both wired and wireless connection options. What better way to catch up on the latest hits and performers of this year’s Grammys? The BlueVIBE DLX provides the sound quality expected from GOgroove with additional playlist controls and hands-free phone function for everyday use. The long lasting 14-hour rechargeable design maximizes convenience and puts this model at the top of its class. With a frequency range of up to 2.48GHz, the GOgroove BlueVIBE DLX offers crisp highs, full midrange, and booming bass with virtually any media device that utilizes Bluetooth audio or a 3.5mm headphone port. 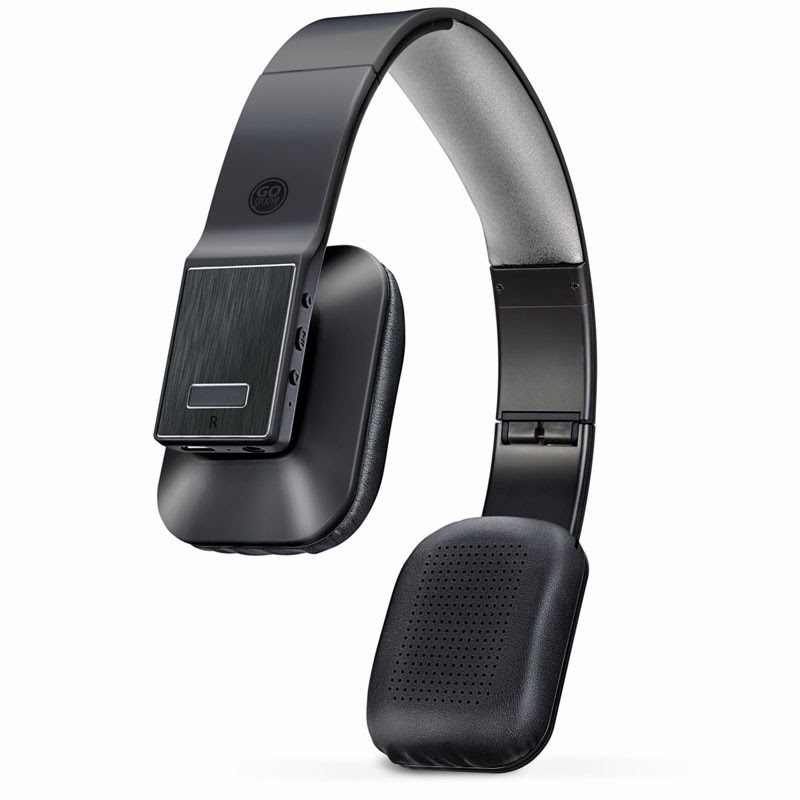 Equipped with onboard playback controls including volume and an integrated microphone, the BlueVIBE DLX supports hands-free calling and control of audio from up to 30 feet away. The onboard controls and built-in microphone not only manage music but take phone calls without ever having to touch the device. Even on a dead battery, the BlueVIBE DLX can be used with a 3.5mm AUX cable to provide unlimited hours of uninterrupted audio enjoyment. The DLX offers a compact, travel-friendly folding design along with an EVA carrying case for storage when not in use. The headphones come complete with brushed aluminum panels, a padded adjustable headband, compact folding design, and soft, noise-isolating ear pads. Every pair of DLX headphones comes with a weather-resistant EVA carrying case with scratch-resistant interior and accessory cable storage. The headphones are great in-and-around the house as well as the great outdoors. Catch up on all the Grammy hype and take your musical enjoyment to the next level with the GOgroove BlueVIBE DLX Bluetooth Headphones.